A recent survey asked “All things considered, do you think the world is getting better or worse, or neither getting better nor worse?”. 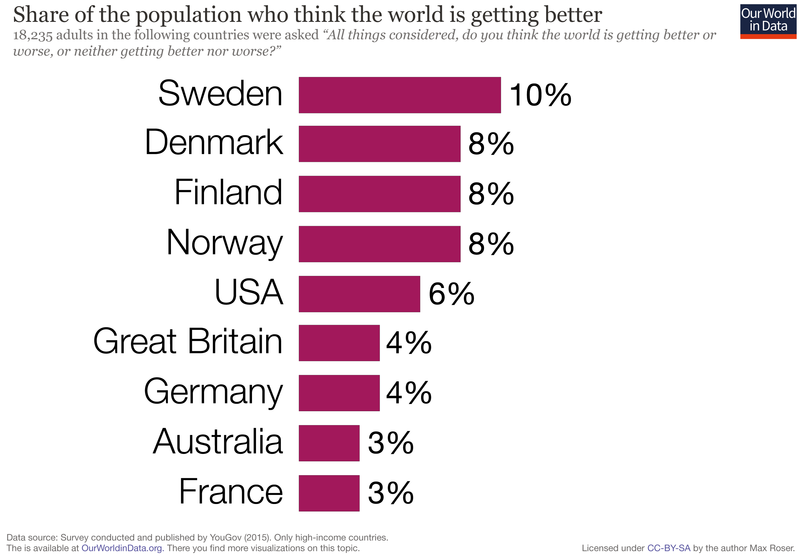 In Sweden 10% thought things are getting better, in the US they were only 6%, and in Germany only 4%. Very few people think that the world is getting better. Max Roser, Programme Director of Our World in Data, explores the evidence we should consider when answering this question.